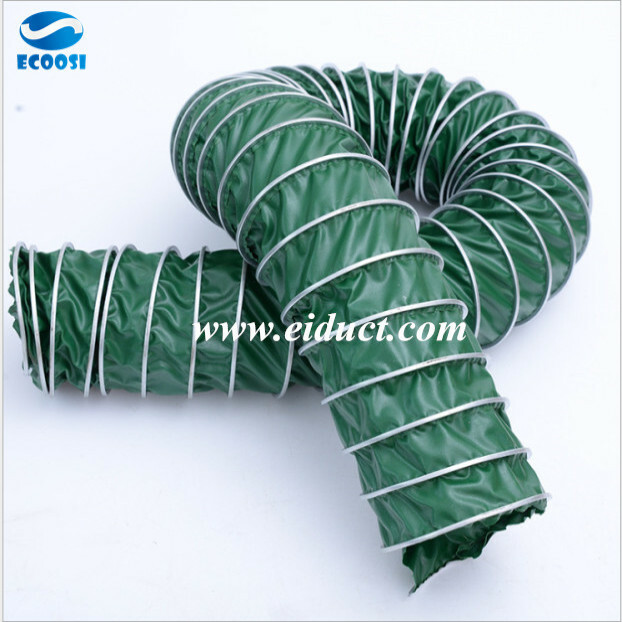 Ecoosi high temperature ventilation air duct hose is a flexible high temperature hose that is ideal for high temperature fume exhaust applications. 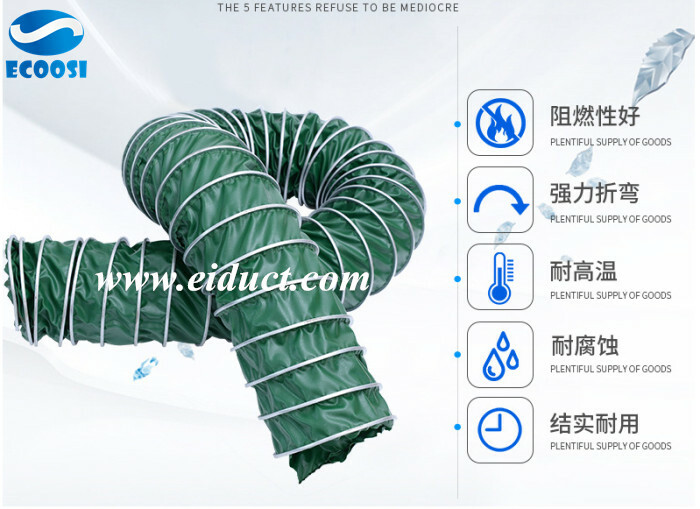 This flexible high temperature ventilation hose is made by fiberglass fabric duct hose coated with a Para-Aramid compound and clamped with a steel wire helix. 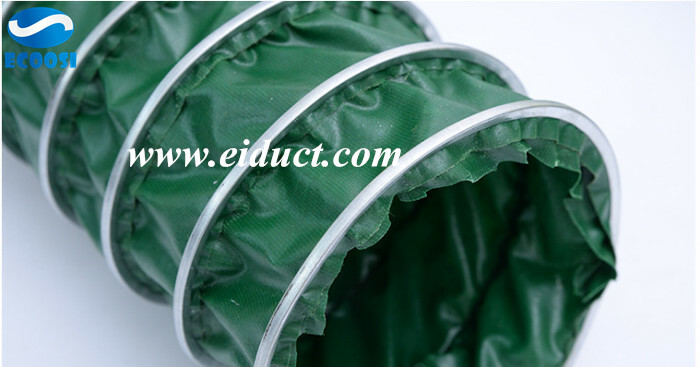 Ecoosi high temperature ventilation air duct hose is ideal used in fume exhaust applications that handle high tempreature working environment. This high temperature ducting hose could handle working temperature range from -30° to 300°（℃ ). 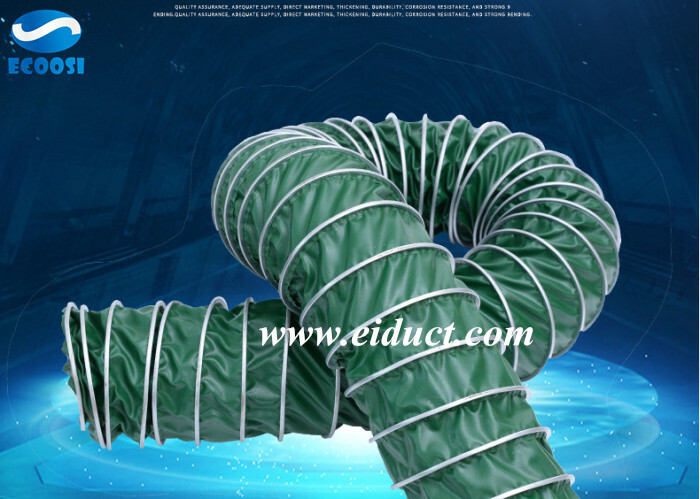 Ecoosi high temperature ventilation air duct hose size range from 50mm to 550mm, standard length is 10 meter.